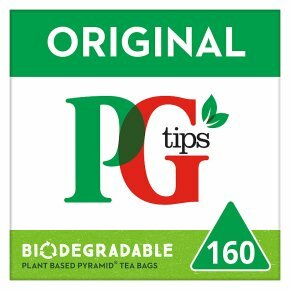 PG tips 160s Pyramid Teabags. Fully Rainforest Alliance Certified tea. Ingenious pyramid bags shaped to give the tea leaves room to move, freeing the delicious taste and giving you the perfect cup of tea every time.